Sometimes, it is not enough to go far to discover something new. 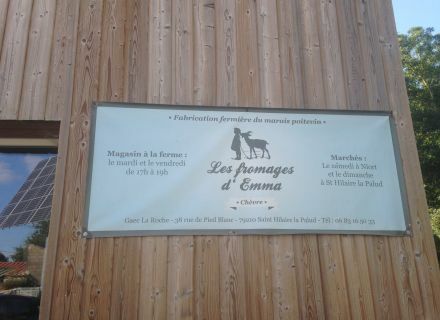 The Swamp from Poitou offers us of very numerous treasures whether it is places of interest, local products … Among them, I would slide " Emma's Cheeses " there. " Emma's Cheeses "? 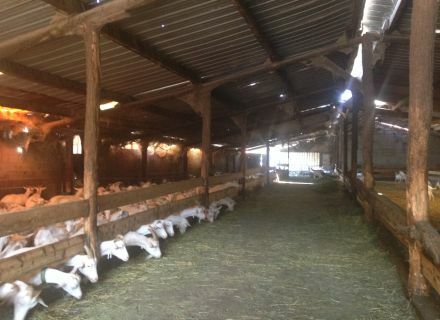 It is a breeding, a goat shed and a cheese dairy, it is an exploitation of 350 purebred goats Saanen. 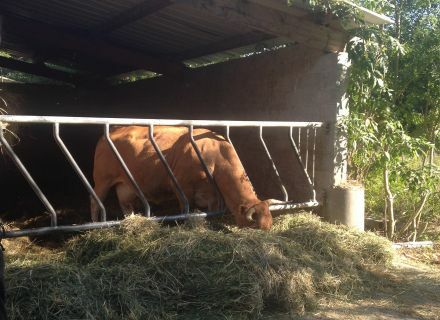 Situated to Saint-Hilaire-la-Palud, this farm exists since several generations, because we find also a breeding of cow limousine and porks there. But " Emma's Cheeses ", them, settled down since 2011. If you want to discover this small firm station wagon, it is possible. You can go to it and pay a visit free of the exploitation free of charge (during opening hours). 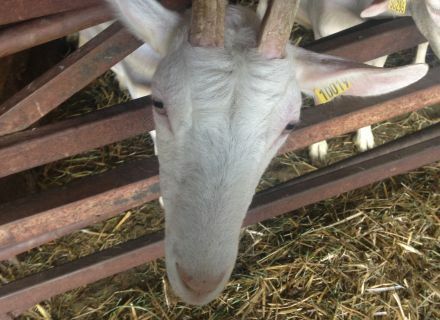 You can also attend the goat milking on Tuesday and Fridays, at 6 pm. You are rather guided tour? It is also possible for a group from 2 to 15 people maximum (paying and on reservation). 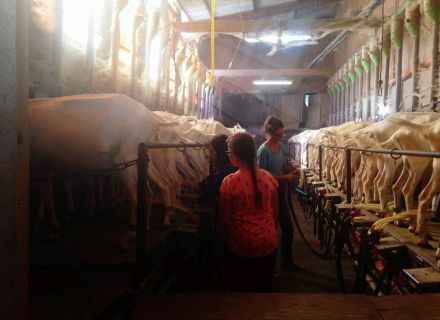 To the program, a visit of the farm with explanations on goats, milking, cheeses … And to end, small tasting of these delicious cheeses of the most refined in the most creamy! From the producer to the consumer, whom it of did better there?